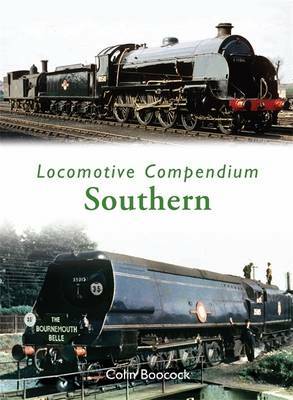 For enthusiasts of the Southern Railway this new book will be the ultimate reference guide. The book covers all the classes of locomotive that were in use throughout the railway's history, including steam, diesel and electric, from its creation in 1923 to nationalisation at the end of 1947. The book is divided into logical sections, with one class of locomotive featured per page. The information provided includes a brief commentary, a table of key facts and dimensions, a large picture of the standard version of the locomotive type and pictures of all significant variations which are identified in the captions. The photographs used are top quality so that the book forms not only a detailed record but also a visual delight for all enthusiasts. Where there are too many variations, two pages are allocated to a class (e.g. original Merchant Navy class, with two key variations, and rebuilt Merchant Navy class with three). Where a class needs only one picture to illustrate the type, and there is little to add historically, then the class is combined with one or two very similar classes on the same page (e.g. CIE classes K1 and K1a; ER classes J67, J68 and J69), or a picture of a locomotive of the class in action. In total, a comprehensive and detailed record of all BR Southern Region locomotives, which is designed in a user-friendly format, allowing readers to easily trace the details of any locomotive type they wish to reference.